This year the Grace Filled Fiction Spotlight, formerly the Grace Awards, is embarking on an exciting new adventure. Our stellar crew of judges from Grace Awards days, and active Grace Filled Fiction Spotlight Facebook group members will rotate as they choose Christian novels/novellas that they love as their picks for “best of.” This is not so much about competition as it is about LOVE, passionately loving wonderful Christian fiction. LOVING BROCK is like no other romance I’ve read. Several months have gone by since I’ve read it, and I still think about these characters. First, this story is, for the most part, set on a mission in Africa. That in itself stirs up a sense of adventure and expectation. Second, I love that the author was brave enough to make her hero and heroine older, not the 20- or 30-something of so many romances. Not that I’m opposed to the younger set, but a life of mistakes brings about a deeper wisdom. Dr. Brock Whitfield exudes that wisdom, but his internal thoughts relay the regret and humility of his character. His nurse, Joy Stockman, doesn’t have the regret, but she possesses deep compassion and reflects her own name through all sorts of trials. Their work together builds into a deep affection that makes the perfect combination for a love story. I won’t give spoilers, but unexpected family issues cause them to take a step back at the worst possible time! God said WAIT in obvious terms, but Brock didn’t expect Him to bring the perfect person into his life and then ask Brock to give her up. This is a heartwarming story that sent me to tears many times over. That’s not always such a hard task when I’m reading, but I will say this story ranks in the top five of my all-time favorite romance books. Right up there with PRIDE AND PREJUDICE! Note: Marji Laine is the editor of this novel. We at Grace Filled didn’t realize that at the time this blog article went live, and Marji was so excited about this novel she didn’t stop to think that as the editor, it might be a conflict. So we want to inform you of this. We know Joan’s work and we know she’s a marvelous writer and stand by this review. I’m a lover of military, action-adventure, spy novels, or any story with a national security bent. In this vein, author V.B. Tenery is a master of military protocol and lingo. In an opening scene of LAST CHANCE, her description of a military aircraft made me feel as if I were aboard, flying over war torn Afghanistan. Main Character Chance Crawford who works for the CIA, but is a former special ops, Marine Recon soldier, has been ordered back to the Hindu Kush Mountains to bring in a terrorist who wants to defect. This scenario alone ups the suspense ante. On the first night of the mission, Chance finds a little girl who is trying to stay alive and care for her toddler brother. Their Christian village has been wiped out by terrorist fighters. Chance makes the decision to save the children, jeopardizing the mission. I won’t give any spoilers telling how the mission unfolds. Needless to say, it’s hair raising. 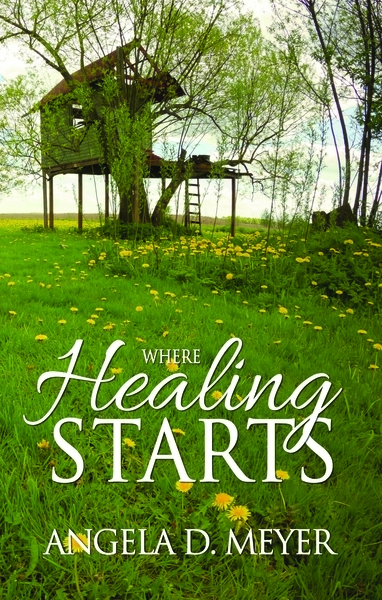 Then the author author brings Chance and the children home and seamlessly slips into the romance part of the novel when Chance meets pregnant Serenity Campbell, a missionary whose husband was recently murdered. He hires her an a nanny for the children and the romance begins very slowly as two very different people from opposite backgrounds discover each other over time. There’s a good chance you’ve heard of Joanne Bischof’s SONS OF BLACKBIRD MOUNTAIN, a story of a young Irish woman finding a new home with three Norwegian brothers in the wilds of Appalachia. It’s a perfectly plotted and beautifully written story. The hero may be the best ever, the love story the most tender, and the realism rich. The characters have back-story that unfolds so intricately, we are left feeling that we want to live there on the top of a mountain with these people. By the way, the new sequel, DAUGHTER OF NORTHERN SHORES, is just as satisfying. I keep wishing both books combined would be made into a movie. Somehow, if you missed this wonderful read last year, or if it got buried in your TBR pile, get it out and read it now to salvage a long, cold winter. Lynn Dean’s STRONGER THAN MOUNTAINS is a Will Rogers Silver Medallion Award winner for inspirational western fiction and a Touched by Love winner for historical romance. It’s a raw and honest story of a couple whose years of marriage and struggle to raise a passel of children in a hard but beautiful land has run them dry. Zeke and Millie are trying to make sense of their lives and the love that once bound them against an increasing mountain of hardships—from floods and food shortage to a desperate cattle drive, a daughter who is growing fast, and three restless boys who are each trying to make the sometimes-risky leap across the chasm to manhood. This story is full of depth and authenticity, and you won’t soon forget it. If you missed this fabulous reads last year, or if it somehow got buried in your TBR pile, get it out and read it now to salvage a long, cold winter. In 2018 I read a number of very good books but in the romance category, LOVE AND ROSES by Sally Bayless shines. 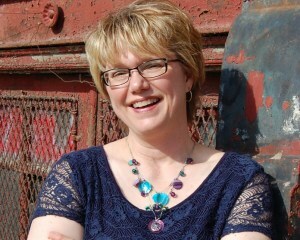 Sally has a wonderful writing voice, drawing the reader into each character’s life and making you care about them. And not just the main characters – even the secondary ones. In LOVE AND ROSES there are two romance threads. First is Abby Kincaid, a young widow raising her little girl alone yet with lots of loving family and friends to lean on. They all think it’s time she moves on, fall in love again. Along comes Nate Redmond, formerly from Manhattan. He’s escaping the past, hoping to make a better future. Right away he seems to fit into Abundance, his new hometown. Meeting Abby and her adorable daughter cements his desire to stay. Until the past rears its ugly head. Meanwhile, Nate’s cousin Frankie has moved back to Abundance in an effort to get her life together. She’s also a single mom with a little girl. But things aren’t easy for Frankie, especially when her ex-husband’s old friend Cooper gets involved. Abby, Nate, Frankie and Cooper are all entwined in the conflict over historic Rose Park. The town wants to sell the land and make a new park. Abby wants the park to stay because it’s part of her late-husband’s family legacy. Frankie likes the amenities the new park can offer her physically challenged daughter. Cooper needs the sale of the old park to prove his business savvy to his father. And Nate is caught in the middle, trying to help the town and make Abby happy. So much conflict and seemingly insurmountable obstacles face all the characters. If they’ll each trust in the Lord rather than themselves it just might work out. All winners of the “Best of” Grace Filled Fiction Spotlight will receive the above badge which they are entitled to use in publicizing their novels or in an editorial manner. Grace Filled Fiction Spotlight will host another ‘Best of Spotlight’ in the Fall of 2019. This one will feature “best fiction from your To Be Read (TBR) List.” ~ That novel you finally got to read and it knocked your socks off. If you are an author, or are engaged in the world of Christian fiction in some other capacity (this includes readers), and would like to write a review of a book that goes back no more than three (3) years, we’d love to have you. However, you must be a current active member of the Grace Filled Fiction Spotlight Facebook group, a Grace Filled Fiction Spotlight winner, or a former judge, winner, and/or finalist in the former Grace Awards. We will announce the need for reviewers for the fall TBR Spotlight in the Facebook group. 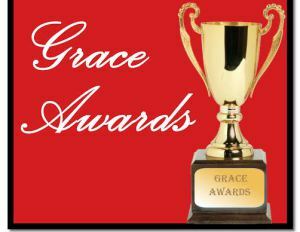 GRACE AWARDS is changing with the times. It’s evolving into the GRACE FILLED FICTION SPOTLIGHT. As we go into our ninth year, our board has decided to shift our focus from the concept of “winners” to the idea of “novels we love.” We are choosing to shine a spotlight on novels that move us. During our eight years we attracted a stellar group of judges. We also have a group of 20 or more authors who were active in our Grace Awards Face Book group. That group has now changed its name to Grace Filled Fiction Spotlight FB group. This group is open to all Christian fiction authors, publishing professionals, reviewers, and readers. This year, we will be relying on these two groups of individuals to select novels and authors to be spotlighted. All past Grace Awards judges as well as authors, editors, publishing professionals, and readers who participate in the Grace Filled Fiction Spotlight Facebook group. An author cannot nominate their own novel/novella. Anyone working in publishing cannot nominate a novel they worked on. Board members and judges can nominate, but not for their own novel(s) or any novel they worked on. Grace Filled Fiction Spotlight will be awarding badges and shining a spotlight on traditionally published fiction, as well as small press, indie-published, and self-published works…in hard cover, paperback, and ebook format(s). Most of all, the novel must reach the highest of literary standards and add something of value to Christian, inspirational, faith-based fiction and to the world at large. We are entering an exciting and happy time of year. Summer…a time for fun, relaxing, going barefoot, hanging out with family and friends around the grill. It’s the perfect time for the Grace Filled Summer Sweeps 2018. And summer reading has never been this much fun with eight stellar authors and their exciting and insightful books. This is a sweepstakes. So, each author will give away a copy of her book according to the most interesting, clever comment. In your comment, please let us know which book you’re dying to read, and also your second choice. This way we’ll be sure to give everyone a book that’s to their reading taste. Winners will be selected August 31st. HEART NOT TAKEN by Naomi Musch (Black Lyon Publishing) ~ How about a relaxing cabin on a river and a summer romance? HEART NOT TAKEN carries you there. High school English teacher Sean Heart has almost let his faith slip away. Haunted by a lapse in judgment as well as his mentor’s betrayal, doubt has set in. He wants nothing more than to bury the past and leave it there, especially when he meets Jordyn Delaney. A beautiful, talented landscaper, Jordyn has been hired by Sean’s mother to improve the property around the family vacation cabin where Sean lives. With no siblings of her own and her parents talking of divorce, Jordyn is intrigued by the dynamics of Sean’s large family almost as much as she’s charmed by the man himself. But when Sean’s past shows up with a spade, Jordyn discovers that a renovation of the heart and spirit might be the most complicated job of all. Purchase HEART NOT TAKEN on Amazon. Naomi Musch’s website. Note: If you’d like to win a free copy of one of these novels make sure you write an interesting, cute, topical comment. Also, tell us which book you’d like to receive…and give a 2nd, choice. We’ll try our best to accommodate you. Winners will be selected August 31.